This week, Snapchat had a pretty neat location based AR dragon in New York for Game of Thrones, Woolworths got its own robot, Oculus messed up and may have left a bunch of easter egg comments in its Quest controllers and Nintendo’s Labo VR elephant controller actually is pretty darn genius. PatCat’s Fav VR Pieces This Week! That elephant controller? It’s actually a pretty darn smart 6DoF controller that’ll let you draw in Labo VR and all sorts of things! It has sold over 800,000 copies and gained more success as a VR title than it did as a non-VR one! The Doctor Who interactive VR experience has a trailer now! It helps prevent motion sickness using “galvanic vestibular stimulation”. VentureBeat had a piece looking at the things AR/VR startups do right to find success. “Facebook is on the path to platform lock-in with Oculus Quest, and at this early stage of the market, it could have big ramifications for virtual reality”. VR may be able to help with balance and motor control for those who really need it. “Virtual Boy: Check out old VR in new VR” is a clip in Labo’s video section with a look at “Mario’s Tennis”. It has a total resolution of 4,320 × 2,160, and 2.25 times the total number of pixels as Acer’s original OJO 500 headset which had up to 1,440 × 1,440 resolution per eye. PatCat’s Fav AR Pieces This Week! 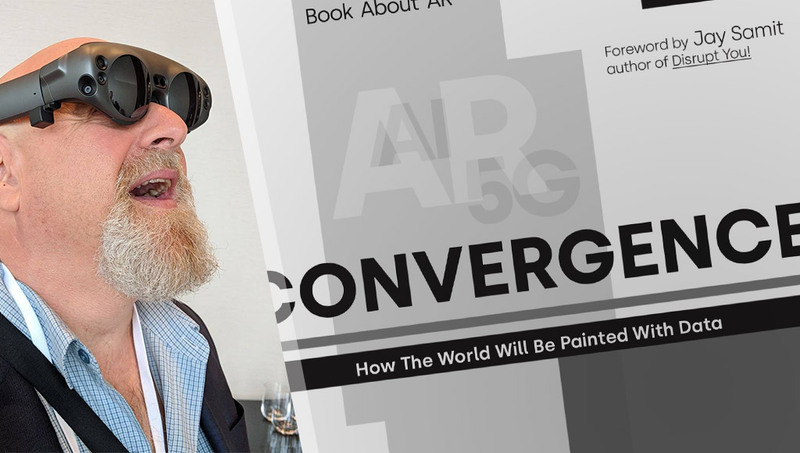 Charlie Fink answered a few questions this week for Dev Diner around the AR industry and his new book, “Convergence, How The World Will Be Painted With Data”. We’ve got some nice recorded footage on the Mixed Reality Toolkit YouTube channel showing what hand interaction is like on the HoloLens 2 — much better than HoloLens 1! They’ll have rocket ships, planets and all sorts of space themed stuff going on above the crowd in AR. This latest AR promo within Snapchat shows just how far their AR tech has come, it looks pretty darn good! PatCat’s Fav AI and Robotics Pieces This Week! Google’s beta launch of their new “AI Platform” aims to “offer developers and data scientists an end-to-end service for building, testing and deploying their own models”. Amazon is rolling out a new feature that will allow Alexa device owners to get more in-depth news if you want more than just the short flash briefing. A report from Bloomberg raised the alarms for many in the public, however having humans verify a small percentage of the audio sent to Alexa is one of the ways they train it to improve. “As much as we want to believe that there have been breakthrough advances in AI many of the most advanced implementations of this technology, like Alexa, require a human in the loop”. 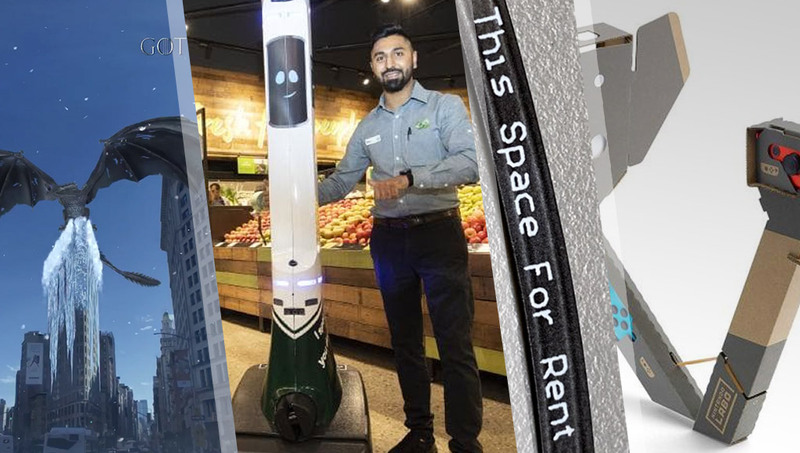 Woolworths, one of Australia’s big supermarket chains, has added a robot into one of its stores, roams around and alerts staff to spills. Microsoft wants to use its tech to monitor and find insights in environmental data. Impressive! “Scientists at Tel Aviv University 3D printed a functioning heart using a patient’s own cells and biological materials”. Soon you’ll be able to battle it out with OpenAI too. “Researchers describe an algorithm that automatically maps potholes, cracks, and other types of road damage”. “Harvard Medical School researchers describe in a newly published paper an algorithm that can accurately screen for certain kinds of cancer”. Speedgate is apparently what happens when you ask AI to create a sport. These numbers are “driven mainly by growth in East Asia”. The Maxiduino is a New MAix-Based Board from Sipeed for machine learning. “The RoCycle robot uses sensors in its gripper to identify an objects makeup and then sort it accordingly”. It’s more like a travelling photobooth, rather than a wedding photographer replacement. It looked through over a thousand papers to put together its very own book. Blue’s goal is to be low-cost and safe enough that every AI researcher could have one. PatCat’s Fav IoT Pieces This Week! The PiSugar battery solution aims to keep portable Raspberry Pi Zero projects as compact as possible. 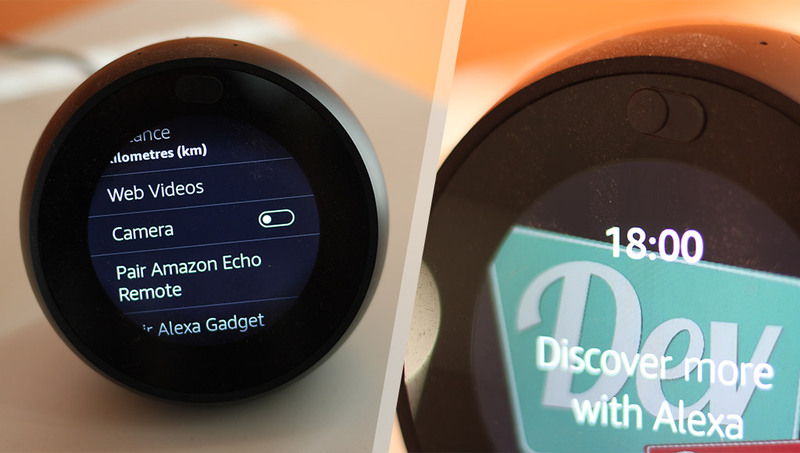 It has less buttons as it gives a lot of that role to Alexa instead! The ESP-RFID project “combines the diminutive WiFi-enabled microcontroller with a nice custom PCB and some exceptionally slick software to create a very professional access control system without breaking the bank”. The IoT Inspector (available for Mac, Windows and Linux has a wait list) is a tool to let you see what your smart devices are up to on your network.